You can blacklist email addresses by adding them to the blocked sender list in Webmail. 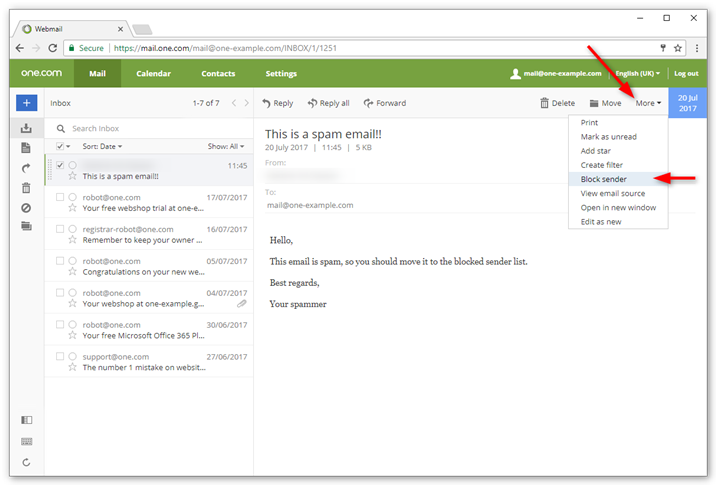 Emails that are sent from an address on the list, are moved directly to your spam folder. Select the email for which you want to block the sender. Click More in the top right corner. You can view all blocked senders under Settings > Blocked senders. Here you can also remove an address from the list, or manually add one by typing in the address.